Laciana Tinsley, 43, of Willingboro. 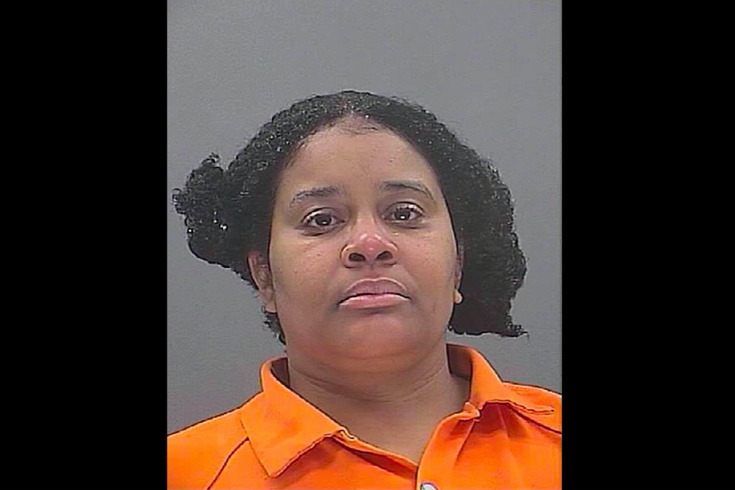 A Willingboro woman has pleaded guilty to fatally beating her husband with a fire extinguisher last winter, Burlington County prosecutors announced Monday. Laciana Tinsley, 43, reached a plea agreement on a term of 24 years in New Jersey state prison. Investigators said Tinsley struck 74-year-old Douglas Tinsley multiple times in the head at the couple's residence on January 30, 2017. She was taken into custody by police that day without incident. Through her attorney, Tinsley has claimed she was the victim of repeated domestic violence attacks by her husband and was protecting herself when she struck him with the fire extinguisher. Tinsley is scheduled for a sentencing hearing on July 20.